BMW launched the Sports edition of its Series 3 Gran Turismo Sport line-up in India today. The new BMW 3 Series Gran Turismo Sport Line is available in a diesel variant (the BMW 320d Gran Turismo Sport Line) at a special launch price (Delhi ex-showroom) of Rs 39.9 lakhs. The price includes VAT @12.5% but excludes road tax, RTO statutory taxes and insurance. As implied, the sports variant is supposed to be more ‘eye catching’, with elements such as kidney grille slats and an air breather in high-gloss black; entry sills ‘BMW Sport’ aluminium and so on. The car also comes with keys with red trim; side window frames in matt black; sport leather steering wheel and seats with red contrast stitching; and interior trim in fine-wood with pearl chrome accents. 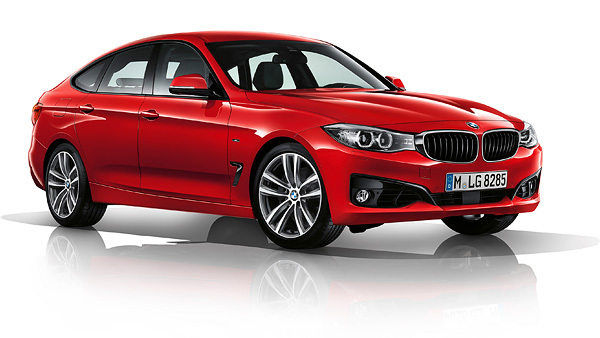 The BMW 320d Gran Turismo Sport Line is locally produced at the BMW Plant Chennai. “Its striking design features in high-gloss Black portray a vigorous look, further reinforcing the unmistakable sporting character,” said Philipp von Sahr, President, BMW Group India. The car is available in the following colors: Alpine White, Black Sapphire, Imperial Blue and Midnight Blue. Interior trims offered are fine-wood trim, fineline Anthracite with Highlight trim finishers and Pearl Chrome. In the front apron, air inlets with horizontal bars in high-gloss Black emulate the dynamic shape of the headlights and emphasize the muscular wheel housings. The exhaust pipe finishers are designed in black chrome and the distinctive Air Breathers on the side are in high-gloss Black. Viewed from the side, the B-pillars in high-gloss Black and window surrounds in Matt Black add further visual impact. In the interior, the contrast between black, red and chrome express the typical BMW athleticism: red contrasting stitching on the sport leather steering wheel and fine-wood interior trim with Pearl Chrome accent line. 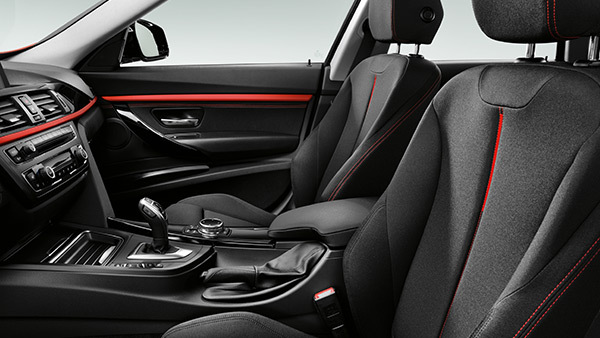 The sport seats for driver and front passenger in sensatec upholstery with red or black highlights, offer firm support during sporty manoeuvres and on demanding bends. In addition, the adjustable ambient light in orange or white can be varied with the iDrive Touch Controller according to your requirements. As a distinctive feature of the new BMW 3 Series Gran Turismo Sport Line, the vehicle key has a red decorative strip and the doors have entry sills ‘BMW Sport’ aluminium. The new BMW 3 Series Gran Turismo Sport Line also features the BMW Driving Experience Control switch, which enables the driver to choose between different driving modes to suit the driving conditions – Comfort, ECO PRO, Sport and Sport+.